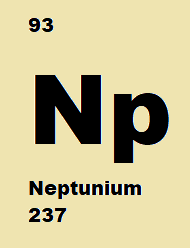 Prof. Polly Arnold has been talking to Nature about her research into the chemistry of neptunium. She discusses how her work could help future generations deal with the nuclear waste we are currently generating. Prof. Euan Brechin's article entitled "Pressure induced enhancement of the magnetic ordering temperature in rhenium(IV) monomers" has also been included in the section on rhenium. The talk and article are featured on the Nature website as part of the celebrations for the 150th anniversary of the periodic table.